Today the South China Morning Post published an "Infographic" with the title Chinese Investment in Africa (below). A colleague sent me a link, noting that the numbers looked odd, so I took a look. The data is mainly drawn from the American Enterprise Institute's China Investment Tracker. (1) It is NOT all FDI. Note the small print which says "Chinese investment and contracts in Africa. What these people have done, bless their souls, is to add the CIT's database on Chinese FDI projects with the database on Chinese engineering contracts. This is like adding apples with elephants. In 2014, Chinese companies signed engineering contracts in Africa valued at $70 billion. These are for things that they will build, like bridges or railways or airports. But this has no relationship with the FDI numbers. (2) The China Investment Tracker collects the projected value of FDI projects. This is OK for an acquisition, which is paid upfront, but for other FDI projects, which often begin on a pilot project basis, and may never get bigger, this can grossly overvalue the figures. (3) The China Investment Tracker only collects information on projects valued at $100 million and above. This is going to skew toward natural resource investments which are more expensive, and is unlikely to pick up much if any manufacturing, which is usually less than this. So the sectoral breakdown will be distorted. Dear. 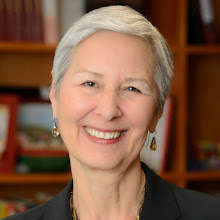 Prof.Deborah Brautigam. I'm From Vietnam. I have read a lot of papers of Professor. Currently, I am researching the activity of Chinese investment in Africa (2000 - 2015), but missing a lot of data. This is my thesis. We hope to receive help from the professor. There is no published data for 2015 yet, but visit our Sais-cari website and send us a message if you don't find what you need there.